Author note: This is a stand-alone story in the Darkness series complete with an HEA and no cliffhanger. Keva is human, running for her life from her ex boyfriend, a wolf shifter. She is rescued by a dragon shifter. Since they are on Conall's territory and he's the alpha, she is under his protection. Four years later, Keva has an offer to sell the shop where she makes jewelry and sculptures. She has a meeting with Dagen, one of the Dragon shifters to make a deal to sell the property. There's a connection that he feels strongly and she feels an attraction to him. Someone is looking for her former boyfriend. Will the past come back to haunt her? There's dangerous times ahead for Keva. It seems when one threat is erased, another comes up. It will take all of Keva's courage to survive. Does she have enough strength? What about Dagen? I loved this book. Hunky Dragon shifters which I love and a strong woman. Katie Reus never disappoints. I received this book from Net Galley and the publisher for a honest review and no compensation otherwise.The opinions expressed are my own. My new favorite in the series! When I read a novella, it's not always easy to find one that checks all the boxes like a full length book does and this one does. Holy cow, Dagen was amazing! Dagen's the type of hero that is big, very tough, but also quiet. Sometimes I think the quiet tells you more about a person than anything else and I seem to be drawn to these types of heroes. Add to that, he was amazing with Keva. He recognized instantly that she was his mate. A mate he never thought he would find. Instead of resisting, he handled her with a care that just made me sigh with happiness. Keva was also a great heroine. She resisted a bit due to her past, but it wasn't too much and it was also understandable seeing as she is human and a previous shifter had already used their strength against her. But what I loved most about her was that she paid attention and saw that Dagen was handling her with care that was completely sincere and she adjusted. Having great main characters is great in itself, but when you also get great side characters and an exciting story, it really puts a book right to the top. I particularly love this clan of dragons, especially since Mira came out of hibernation. She's going to be one heck of a future main character. I'm really looking forward to more in this series. ARC provided by NetGalley. 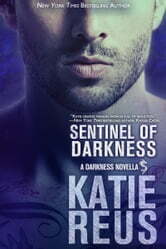 I have a love-hate relationship with paranormal romance but I have to conclude that for me novellas are the way to go. Keva is a human, she was dating a wolf shifter who turned abusive and was only saved from potential death by a dragon shifter. Now years later she is coming under threat from her ex's family. Dagen is a dragon shifter who has recently moved into the same dragon territory as Keva - as soon as he lays eyes on Keva he knows she is his mate, but their first encounter isn't auspicious. This is a fun, engaging novella, it might be a tad predictable but then most paranormal romance is. Although this is the eighth book in the series, it can easily be read as a stand-alone, I have only read one of the other books in the series. Recommended if you want a shifter/ human romance with a protective dragon and a feisty artist. I received a free copy of this book from the publisher via NetGalley in return for an honest review.